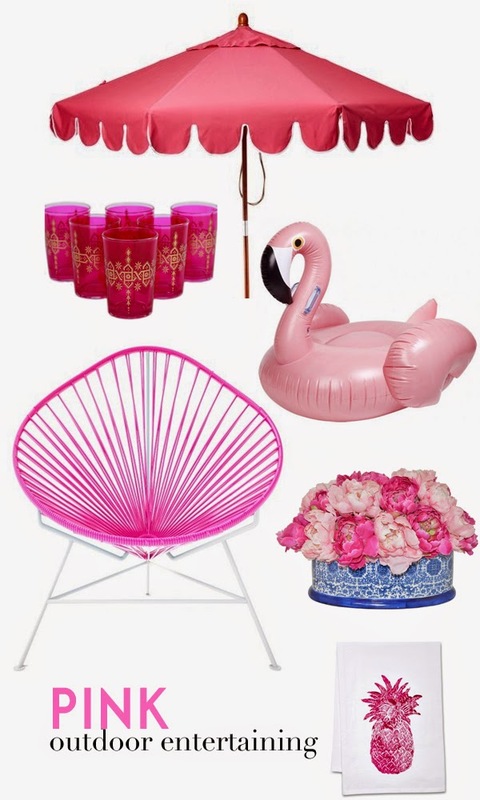 I'm so excited to know this summer there is a pink flamingo inflatable! Pools everywhere can now look even cuter with this guy floating around. We had a blast last summer with our dear, dear swan. To get on it was the highlight of all of Little Miss A's friends. So much so, that it lost a wing toward the end of the summer. But I'm not fretting because I think this flamingo could be the perfect substitute. And this outdoor umbrella would look just right as an additional pink touch for your patio. Wishing you all a pinktastic weekend! 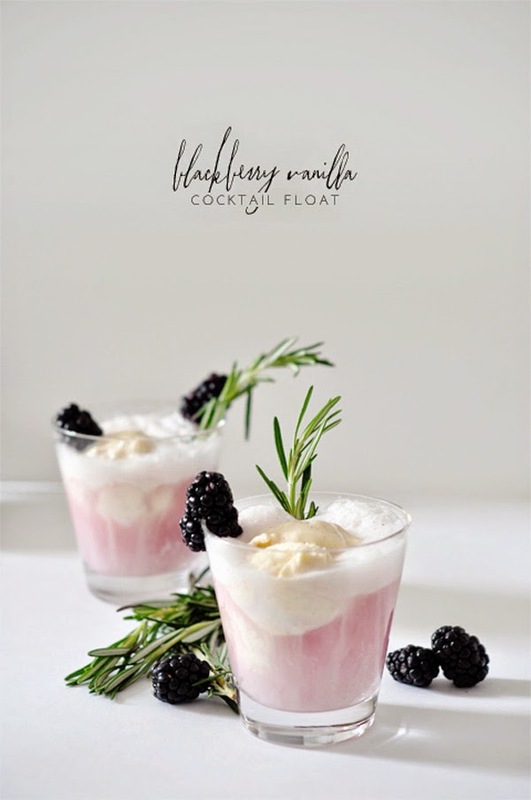 Blackberry Vanilla Cocktail floats look so good! I'll be right over to hang with the pink and sip one of those cocktails with your pretty self! The pinks are the perfect summer colors! Great post, love keeping up with your blog! OMG Albertina - that float looks delish! I am currently planning my 30th in June and that might have to make the list for an after dinner drink!